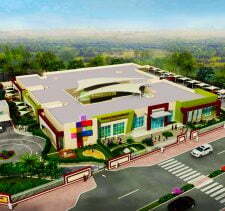 *Deposit for new pupils is 30% of annual tuition fee as per KHDA regulations. Registration Fees: There is a Registration Fee of AED 500 and an Assessment Fee of AED 1000. Both are non-refundable. Tuition Fees: These Founding Tuition Fees are valid for parents who register their child up to 30th June 2017, regardless of year group and year of entry. These rates will be applicable for the entire time that the pupil is in the school. These rates will be subject to any tuition fee increases approved by KHDA. Facilities Fee: Please note there is a one-time, non refundable Facilities Fee of AED 20,000 for each family, payable on acceptance of place for the first child. 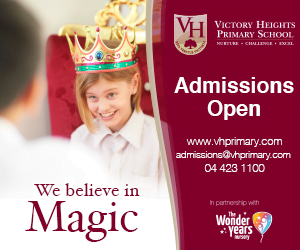 The Facilities Fee is not required if a pupil joins in Year 6. (1) Curriculum is academically demanding and designed to extend and challenge pupils. 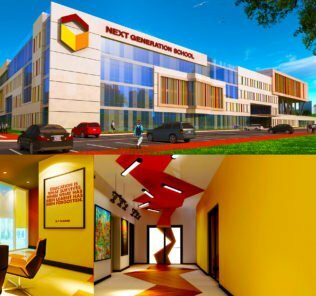 The school will benefit academically gifted children or children with high academic potential. (2) As part of the admissions process, all children are assessed. Assessments are conducted in English, Mathematics and Reading. (4) Parents must disclose any factor which may affect their child(ren)'s ability to cope independently within a normal school situation. (5) If a child has learning difficulties and has an IEP, this must be presented as part of the application. Failure to disclose any learning difficulties or medical conditions at the time of application may result in a place being withdrawn. (6) Any offer made by the school is subject to being able to meet the individual needs of the child. (9) Significant specialist support is offered for dyslexia, dyspraxia and Asperger syndrome. (10) Both a Speech and Language therapist, and an Occupational Therapist, attend the school two days each week. •	Some will question why to apply to a preparatory rather than a through-school given the potential upheaval children will face in slipstreams from Year 9, however there is a strong argument that children benefit from this separation. Since the publication of our first look at Foremarke School Dubai, the KHDA has published the findings of its first inspection conducted in March 2016 and our team has conducted a visit to the school (September 2016). Foremarke School Dubai was graded a KHDA “Good” school which places it in the higher tier of the new 6 point scoring which ranks schools in the categories of “Very Weak”, “Weak”, “Acceptable”, “Good”, “Very Good”, or “Outstanding.” On our visit, when we asked how the school wanted to position itself with prospective parents, we were answered as “a school with standards, a will to succeed, teamwork, a balanced curriculum – and the enthusiasm to get stuck in.” Prospective parents should note that a “Good School” rating is the highest grade that has historically been awarded to any school in the Emirates on first inspection. A “Good School” rating, seen in isolation, is the minimum expected by the KHDA of any effective school in Dubai. 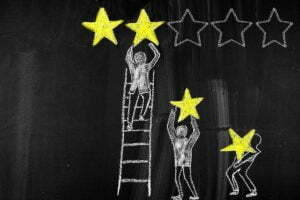 However, it it is a rating, as with all new schools on their first inspection, seen in isolation, that gives us few clues as to the likely eventual rating of the school as it has time to bed in provision. Historically even the highest performing “Outstanding” schools have started life with the “Good School” rating. These positives align very closely to our experience on visiting the school – and it should be noted that we were given an open door to meet with teachers and interrogate provision independently. An exceptionally structured and professional school environment. The culture and feel is very much of a traditional top-end British public school. There is an overriding sense of formality, focus on teaching and a shared common purpose to build an extraordinary school. Extremely confident and professional teaching staff. As above, lessons have the feel of a very tradition British public school. This is clearly what the school wants to achieve – and they have succeeded on these terms. Several staff have transitioned from the Dubai school’s “parent”, Foremarke School in the United Kingdom, to the UAE to ensure the British feel of the school, and the value of the brand, is protected and nurtured. This follows through to the three-hours each week dedicated to sports – Lacrosse and Hockey, These less commonly practiced sports in the UAE, are given centre stage. Facilities are outstanding. From the Reception to the Coffee Shop (promoting healthy cakes and pastries from “Food Nation” on our visit), first impressions are of a polished school that has left nothing to chance – but is also warm and welcoming. The coffee shop had some buzz about it – this is not a school without atmosphere. Sports facilities are fabulous – it is really only the pool that remains to be completed (it should open early in 2017). Classrooms are of a very high standard, not just in equipment, but also in the design and layout which blends successfully a seriousness of academic intent with the informality needed to inspire the imagination and thought of children. We particularly liked each classroom’s access to (shaded) outdoor areas which are designed to balance formal learning with learning through play. Wellington boots are encouraged during garden time for messy outdoor pursuits, telling of the balance of fun and seriousness. Class sizes at Foremarke School Dubai are genuinely small – there is clearly an investment being made here. On our visit we found calm lessons with children interacting and evidently enjoying lessons. Children were also very courteous. The sense that lessons go beyond academics to building a sense of etiquette and values extends to the table manners and calm we found at lunch (the 3 course lunch is varied and impressive by non-school standards). Being a Prep school the abundance of specialist teachers is extremely impressive. Many preparatory schools have generalist teachers, covering multiple subjects. Not so at Foremarke – Mathematics, English, Art, Language and Science are all taught in Years 5 and 6 by specialists who are passionate about their subject. We were particularly impressed by one meeting we had with a Science Teacher in his Laboratory – his enthusiasm for his subject and enthusiasm for what Foremarke is achieving was both transparently genuine and inspiring. We particularly liked that children were encouraged to ask questions that were then answered – the curriculum was open to enable children to explore where their inquisitive minds led them. Too often schools constrain learning by closing down questions where they stray beyond the boundaries of defined limits of what is supposed to be learned at each key stage. One other feature of the school we liked, and one which is very telling, is the array of literature on possible UK schools for those parents set on an eventual boarding school. What sets Foremarke apart here is the clear diversity of information – schools, for example include both Bedales (one of the progressive UK schools) and Marlborough (more traditional). This suggests, in itself, that this is a school open to building an education around children individually. It also shows a school focused on children’s future. A review of Bedales by our sister site, whichschooladvisor, can be found here and their review of Marlborough here. We understand that 70% of students who graduate from Foremarke School Dubai, go on to attend UK Public or Boarding Schools. KHDA Inspectors, however, do draw out some balancing weaknesses. Our visit has given us, and the school, an opportunity to address these. First, the KHDA reflect a number of concerns with leadership, particularly with regard to policies relating to Special Educational Needs and Disabilities (SEND) and safeguarding. Inspectors note that child protection policies are not understood by all students and teachers and the school had, at the time of inspection, no cyber-protection policy in place. Second, the KHDA found a mismatch between the school’s apparently inclusive admission procedures and its lack of specialist SEND provision, this resulting in the school limiting its SEND intake. Not enough specialist SEND staff, it found, are employed by the school to meet the needs of those children who do join the school. On our visit we learned that both of these areas are being addressed – and significantly. Foremarke now has a dedicated Special Educational Needs (SEN) suite. It is clear a lot of thought is now being pushed into this critical area and we are comfortable that the issue, one of many inevitable in bedding in new school provision, has now been addressed. A new Head of Inclusion has been appointed, Mrs Laura Brown, to cater to the 7% of students who require support at both ends of the academic spectrum, from those children requiring extra support to those identified as Gifted and Talented (G&T). There is now significant support too for dyslexia (and on a spectrum including dyspraxia and dyscalculia) – as well as Aspergers and Autism. Whilst this will always depend on the individual needs of any child, and its severity, this is a school that has really upped its game to compete at the highest level of provision for all children. SEN children now have individual support from Mrs Brown, or a dedicated Teaching Assistant [TA] assigned to them. In addition, Curriculum Plus sessions are offered before school for Mathematics, reading and writing including handwriting classes, as well as sessions in social skills. Both a Speech and Language therapist, and an Occupational Therapist attend the school two days each week. The third critique of the KHDA relates to Foremarke provision in differentiation and challenge for Gifted and Talented (G&T) children, particularly in Science, which they see as less developed than best-in-class schools. We have covered this above – this is a very different school since their inspection. The Gifted and Talented Programme is now run in dedicated groups through Curriculum Plus sessions which run before school and are by invitation only. Of the two remaining issues, a misalignment of the school’s teaching with the requirements of the revised National Curriculum for England and a general need to improve monitoring, assessment, evaluation and targets for students to ensure each child’s education is better mapped to their individual gifts and abilities, we saw no evidence of either and we think that many of these points are just the teething issues that come par for the course for many new schools as they develop their individual identities and bed-in their teaching provision. We cannot help but feel that it is a shame the inspection of Foremarke School Dubai did not take place a few months later. Core Science, English and Mathematics provision across both FS and Primary phases has risen to be of a “Very Good ” standard. In a rare turn of phrase, Dubai inspectors describe a school that has a “highly engaging learning environment.” This is genuine praise for Foremarke School Dubai from an Inspectorate not known for their hyperbole. Foremarke is now on its third Head since opening in 2013, quite a high turnover in leadership, although to some degree all new schools tend to higher staff turnover as they bed in provision. As of March 2016, Inspectors noted significant flux as the school bedded in new staff and new initiatives. There is really good news for parents, however, and prospective parents, moving forward. The new Headmistress, Naomi Williams, has been recruited in-house which at least promises greater continuity at the school. Educated at (the highly respected) Royal Masonic, then Oxford Brookes, Miss Williams is a geographer by training, taking her teaching qualifications at Surrey. She garners a decade’s teaching experience in the UK followed by her role at Repton, Foremarke’s all through slipstream and sister school, as the Deputy Head of the Junior School. She follows Foremarke’s Founding Head, Mark Atkins, and Alistair Bond, a highly regarded Head recruited from the (outstanding) Pearl Primary School in Abu Dhabi – but now with a very different focus moving forward. It is rare for a Head to concentrate so much on teachers – but, it is also very impressive because it is teachers (and children) that make a school, not facilities and bricks and mortar. This is still a school that strongly focuses on academics. But, it is now a much more balanced one. And we like it a lot. We have specifically been asked in this regard to emphasise that the school has changed its approach to admission and does welcome the broad array of children. 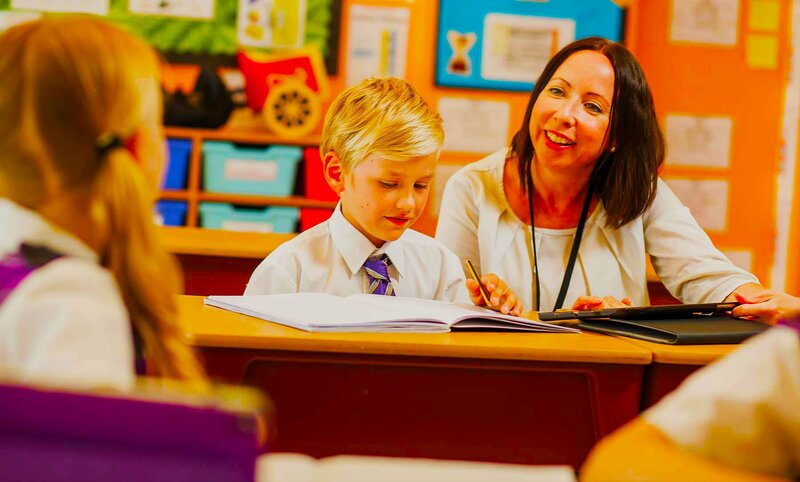 The most simple way of understanding Foremarke School Dubai is as a premium, tier 1 school focused on delivering a British preparatory education from FS1 to Year 8. Year 7 provision will open in September 2018 and Year 8 will open in September 2019. Children will be prepared for both Common Entrance and ISEB. 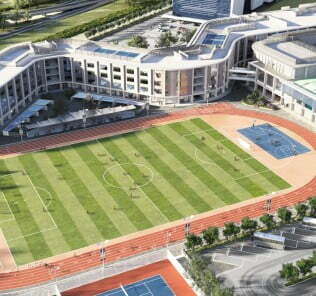 Foremarke School Dubai is premium in all senses of the word. 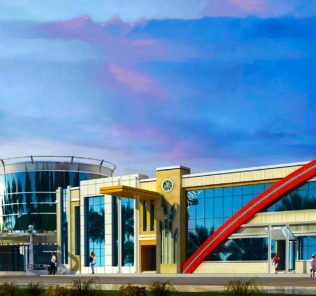 The school’s KHDA accredited fees vie for the title of the most expensive in the Emirates (just pipped by GEMS Nations Academy which has yet to open) rising from 90,000 AED at FS-Year 2 phases to 98,000 AED between Year 3 and Year 6. However, the school currently offers an extended, discounted founding family fee structure that is guaranteed to remain in place until 30th June 2019. Founders fees start at 65,000 AED at FS1 and rise to 85,000 AED for Year 6. By way of comparison, Repton’s fees between Year 3 and Year 6 run (“only”) between 57,491 and 64,011 whilst GEMS Nations had run between 102,000 AED and 118,000 for equivalent years. The only other school competing at this level is the Swiss International Scientific School which has comparative fees running between 80,000 AED and 95,000 AED, also between Year 3 and Year 6. Prospective parents should note that Formarke will charge a Facilities Fee when all facilities are completed to the tune of a one-time, non-refundable AED 20,000 payable on acceptance of place. Foremarke bases its offer on the National Curriculum for England [NCE] but it is very much a bespoke syllabus in which the NCE provides the framework. We believe that the end result is a preparatory education equally suited to later IB or GCE O/A Level through studies. This will be an important consideration for parents who want to ensure that options are kept open later between the two alternative curricular. 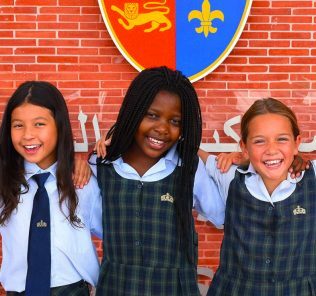 Between Years 3 and 4 children at Foremarke School Dubai are immersed in study of English, Mathematics, Science, History, Geography, French, Art, Drama, ICT, Music and Sport. In Years 5-6 physics, chemistry and biology are added to core subject provision. Art and Arabic are both taught from Year 1. French is taught by specialist teachers from Reception. The provision of Arabic at this young age is critical to giving children the best possible chance to absorb the complexities of the language – many schools, we feel, leave the teaching of Arabic to late. 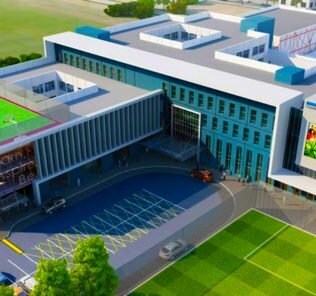 In Years 7-8 Foremarke School Dubai broadens the curriculum to offer the spectrum of Design and Technology options supported by new labs facilities currently in build. 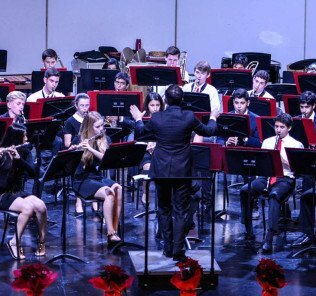 ECA enrichment adds to this exceptional investment in language by Foremarke School School Dubai with extended language provision in Spanish, Latin and/or Mandarin together with peripatetic music lessons and an array of options across culture and sport. Music lesson are provided privately at the “Foremarke Conservatoire” which operates each Saturday when the school opens specially for a full day of (optional) music-based education. Foremarke School Dubai core sports are Football, Rugby Sevens and Cricket for boys and Netball, Football and Rounders for girls – as well as Hockey and Lacrosse (discussed above). Prospective parents should note that full contact Rugby Sevens is taught from Year 4 despite recent medical discussions in the UK that focus on whether, on safety grounds, school rugby should move to its “touch” variant. We would like to see, on safety grounds, all schools, and particularly at younger phases, moving to provision of Touch Rugby only – but this is our view, and one among many. Swimming is being held at the impressive Hamdan Sports Complex, the recent host of the FINA World Swimming Championships, whilst the pool is completed. Foremarke School Dubai facilities will, at full-phase opening, include a landmark 25 metre competition swimming pool; separate Foundation School swimming pool; three netball and tennis courts; two multi-purpose outdoor courts; three multi-purpose sports halls; two junior cricket fields including one grass wicket; four junior sized football/rugby pitches; indoor and outdoor cricket nets; tiger turf and grass pitches; and a (stunning) sports Pavilion with hospitality, changing and viewing facilities. Although the ultra-premium Tier 1s with which Foremarke School Dubai is competing are increasingly seeking to differentiate their swimming provision with Olympics standard 50M pools, it is arguable that for a preparatory school this would simply be overkill. Very few UK cities can afford the luxury of a 50M pool for their entire populations. Broader academic and arts facilities at Foremarke School Dubai include a fully digital Mac centred campus with 1:1 iPad provision; architecturally stunning buildings and landscaped grounds; 3 Science Labs by subject, 3 Fine Art rooms; 2 music centres; 6 practice rooms; Robert Holroyd Library featuring ionic columns of and a portico window onto the Dubai skyline; and 3 multi-purpose halls offering the breadth of concert, theatre, assembly and broader cultural and sporting facilities for students. One unusual feature of the school is its decision to mirror UK timings for schooling, this resulting in a later, 8:30 am start for the school. This will particularly benefit parents with children at other schools, enabling them to stagger dropping off their children. We really like the daily opportunity for parent teacher discussion during a 20-minute slot each morning from 8:10am to 8:30am. The school is very keen to invest in parents and build links between school and home. 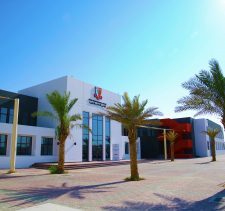 Foremarke School Dubai operates a house system for pupils only which divides them between six houses when entering the school. The houses are named after former and the current head of Foremarke Hall. The school’s links with its home school, Foremarke Hall, in Derbyshire, United Kingdom is genuine. Foremarke Hall is a partner in the school rather than a franchise licensee and plays a central role in driving the school’s identity and standards. Prospective parents should note that Foremarke Hall in the UK is Repton’s Preparatory School, and it is interesting that Repton in both Abu Dhabi and Dubai campuses/schools, have both been established as all-through schools rather than having Foremarke playing the role of an exclusive natural preparatory slipstream. 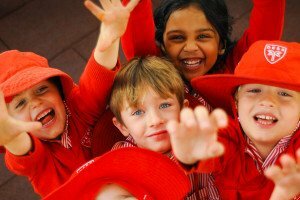 The decision allows those parents a choice to place their children in a school that both specialises in, and is dedicated to, early years education. There is a view that separate schooling in many cases allows children to enjoy their childhood in isolation of the distractions that come from combination all-through schools. One significant absence, for us, in Formarke’s strategy is its lack of advertised provision of scholarships and bursaries. This absence is even more striking given the group does advertise scholarship provision at its sister Repton schools. It is our view that Formarke is likely to miss a significant opportunity to recruit academic pupils able to contribute to the school whose parents would otherwise be unable to afford the fees. Foremarke School Dubai – the bottom line? In our earlier review we thought it too early to provide a considered recommendation. Whilst the school does continue to undergo its phased launch, it is however, no longer in flux. This is, for us, a school that shines. It has confidence, and staff and pupils are very clearly inspired. 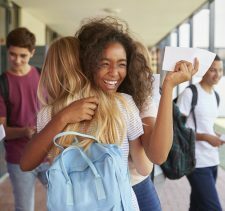 We, and our sister site WhichSchoolAdvisor.com, are optimistic. Foremarke School Dubai under Miss Williams, is proving its mettle and meeting its very clear potential, ambition and trajectory to be an outstanding Tier 1 school. 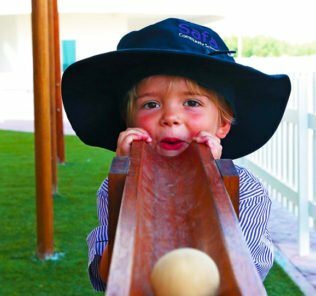 Foremarke School Dubai has already become the first school in the UAE, and only the second school globally, to have been given the status of an IAPS World Hub School, by The Independent Association of Preparatory Schools (IAPS). And the school has been assessed positively by Repton UK whose latest report can be found here. Prospective parents should note that whilst the report is not wholly independent, it strikes a balanced note in recommendation for improvement. Again, however, since the inspection was undertaken, many of the points raised have now been addressed. Subject to our continuing view of a lost opportunity in the provision of scholarships and bursaries, there is no doubt that Foremarke School is offering a very, very good education to its children. 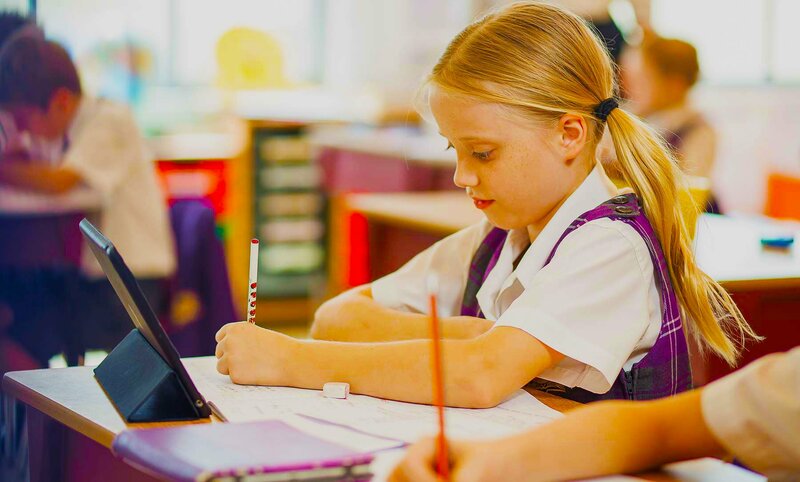 We particularly draw the attention of prospective parents to the small class sizes that remain fundamental to Foremarke’s approach – and in no small part provide justification for its very high fees. But we also draw attention to the new Head who has undertaken very significant changes to the school, particularly in the area of inclusion and investment in teachers and children. It really shows. Foremarke School Dubai is a school that has found its soul. It brings to the education of its children all the benefits of its alignment with the values and British tradition of Foremarke UK, but adds the commitment to inspiring children with the cultural frame of its Arabic home, and a new found recognition of the sparkle and heart that comes from a more inclusive approach to admissions. It is a school that finds the best from alll these things and becomes more than the sum of its parts in so doing. Highly Recommended. And a lovely one too. Note 1: notwithstanding currently generous long-term founding fee discounts for all children until June 2019 , any recommendation of Foremarke comes with the proviso that parents will be able to afford the fees moving forward. Note 2: Prospective parents should note that scoring is based on WhichSchoolAdvisor.com projection, KHDA reporting in 2016, our inspection and published information from the school. Scoring for differentiation and value-added was originally made in the context of an academically (highly) selective school and we have now adjusted this. 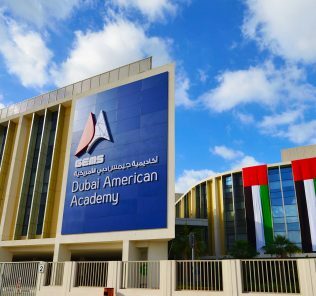 School fees provided are KHDA accredited; the school offers a significantly discounted fee structure for founding students/parents. Our main scoring below reflect scoring made by the KHDA which we no longer believe reflects fairly the the school as it has evolved and as highlighted in our review above.